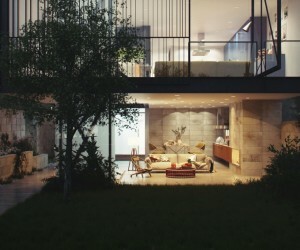 We have featuredother houses that also blur the interior-exterior divide by including rooms or certain parts of the house designed to be more accessible to the outdoors than the norm. 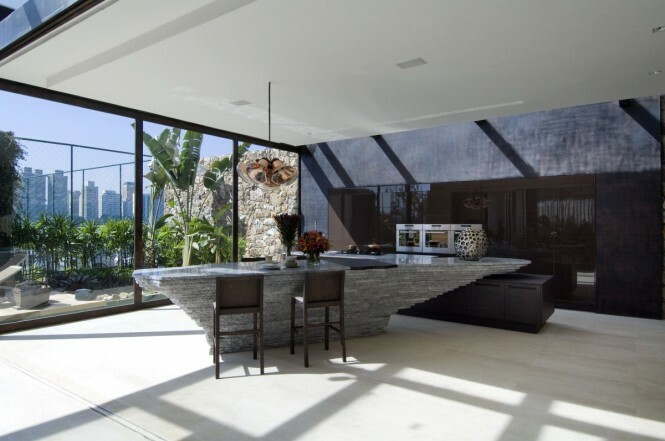 But Marques’ design takes the blurring of the interior-exterior divide to an extreme by designing multiple wooden decks that link various rooms to the outdoors, glass ceilings, and floor-to-ceiling glass windows and doors – thereby creating an entire house that is almost completely and breathtakingly exposed to the great outdoors. As one views the images of this stunning bungalow style home, it is indeed difficult to perceive whether the home is outdoors or inside, and whether it exists in a fictional world we read about in fairy-tales or in the real world– and that is how Marques intended we react. 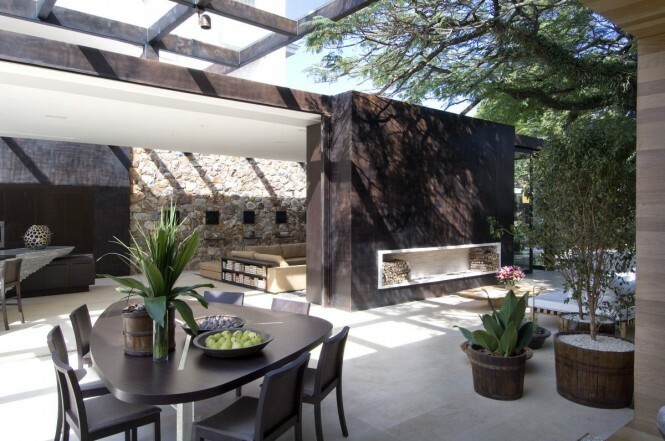 Marqeus’ house is not only very exposed to the outdoors, but is also furnished with sustainable, raw materials. 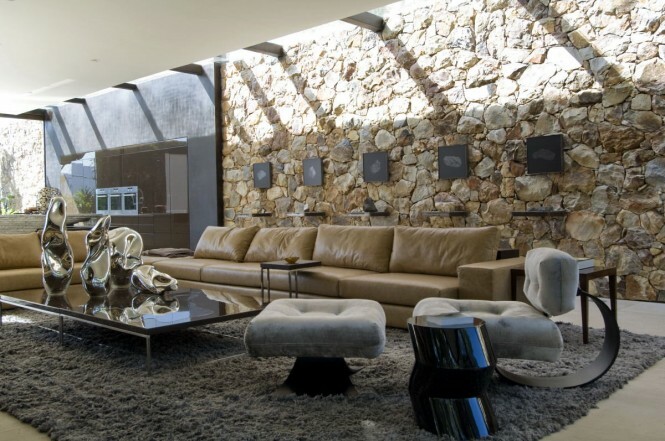 The limestone floors and stone walls provide a natural and rustic vibe. 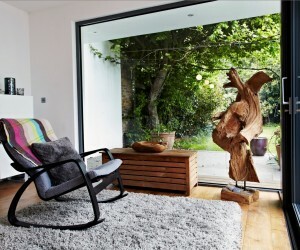 Wood accents are heavily used in the walls and furniture. 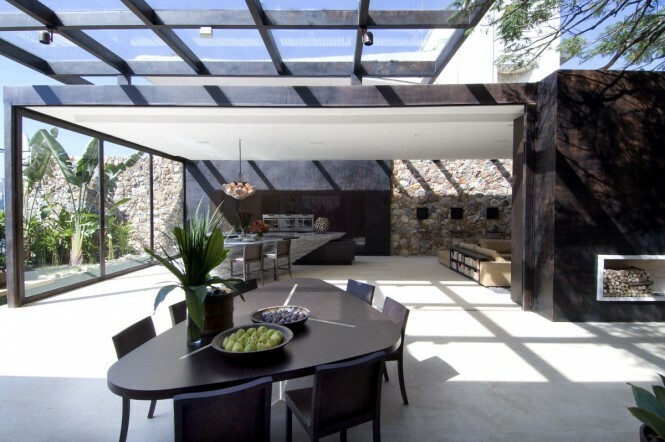 And even the ceiling is lined with glass plates to allow as much sunlight in as possible. The bedroom exudes the serenity of the natural world, held up by a wooden floor that seems to magically float atop a green pond. The ceiling of the living area is attached to the wall of the interior of the house by several, small wooden cylinders, and the openings in the ceiling created by them, allows small spurts of natural light to flow in. 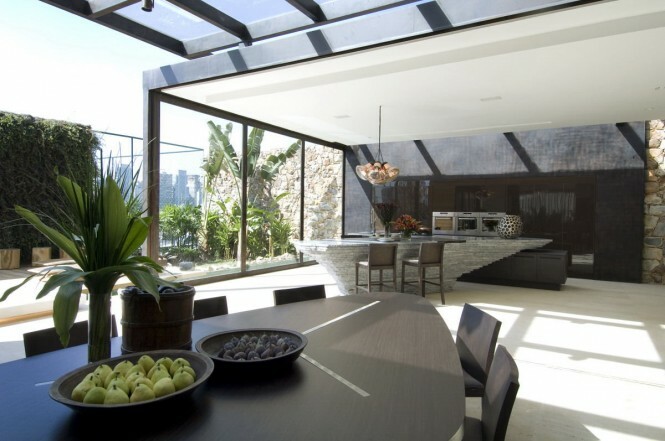 A dark chocolate, wooden dining room table and chairs adorn the dining area which is connected to a dark brown bar and open kitchen area. 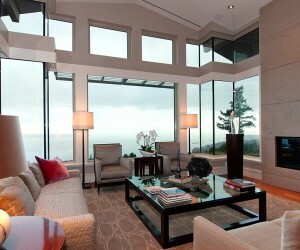 The entire room is flooded with light, flowing in from the glass ceilings and the glass walls that overlook the garden. 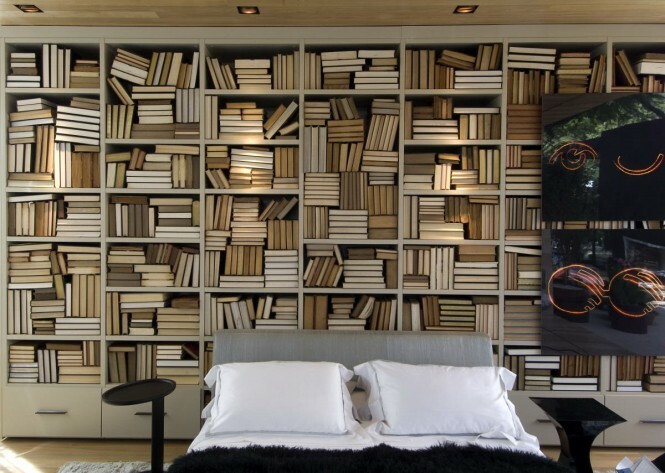 Heavy wood accents, used in the ceilings, bookshelves, and walls of the bedroom, will make the tenant feel as if they are sleeping inside the hollow of a tree. Rough sketches of the house reveal Marques’ ingenious design methods. 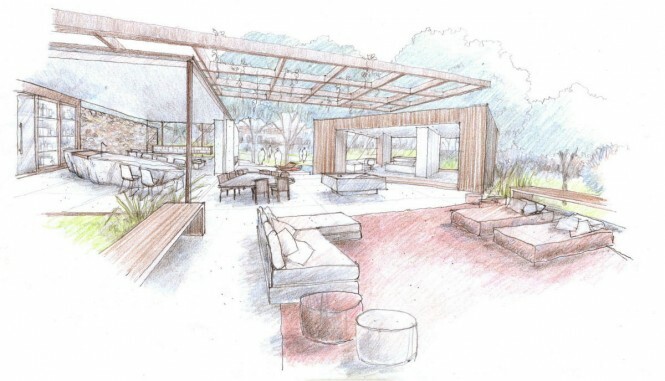 Multiple decks are a repeating trend, installed in different areas of the house–as seen in this living area sketch. 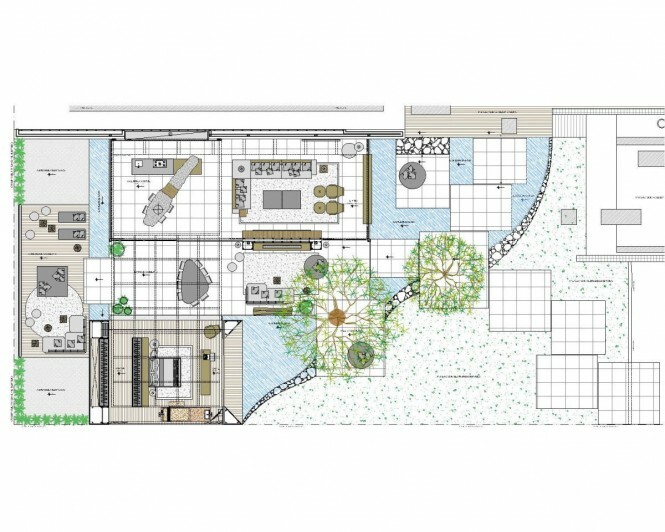 A bird’s eye view of the entire house offers viewers a better understanding of Marques’ whimsical vision– an indoor-outdoor bungalow that mostly floats atop a pond, and is surrounded by water and greenery.